Did you participate in Polar Bear Challenge? 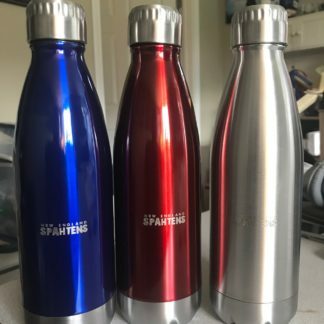 Leave your own review here! Want to pick up a 2016 Polar Bear shirt? Shop here! 5 years ago, I took a trip up to this place in Vermont that had assured me via email that they had something worth traveling for – and this winter race they were putting on would be something really really great. 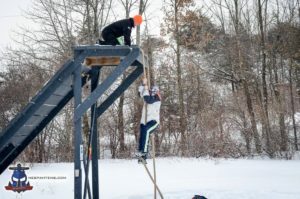 Today was the fifth year of that race – the Polar Bear Challenge at Shale Hill remains a destination event for many OCR enthusiasts, providing far far more than most events on the OCR calendar. 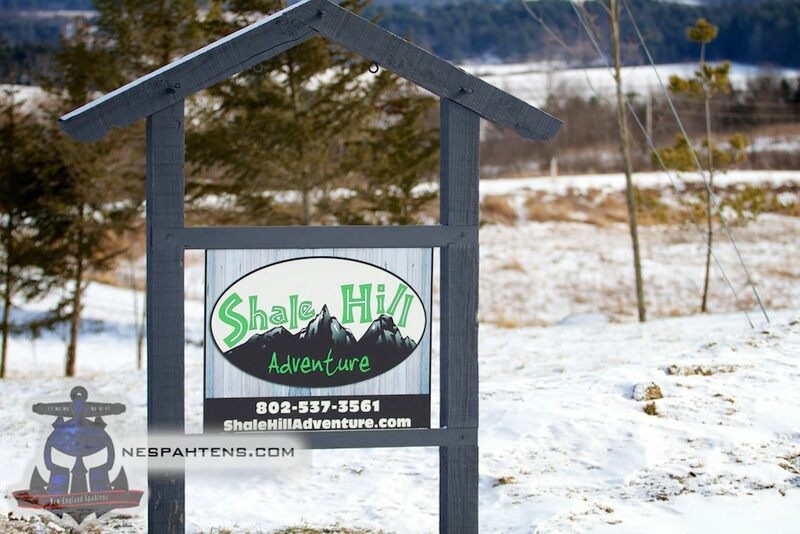 For those who have never visited Shale Hill – it is a property in Benson VT, about 30 minutes outside of Rutland. 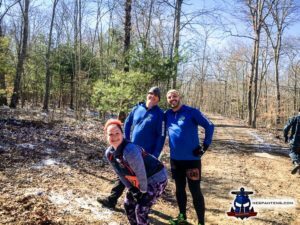 Primarily, it’s a 10k fixed trail around their property, covering everything from open field to woods – with short sharp hill climbs, a pond and some open running sections. 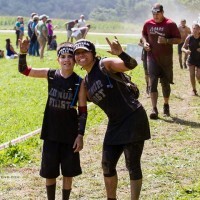 The obstacle count grows from race to race – back in 2012, they had under 50 obstacles, but now, that is more like 75. The obstacles range from the ordinary – walls, crawls, heavy carries – to the famous Destroyer, weaver and gut check – to the wildly unique – and you will have to visit to check them all out. 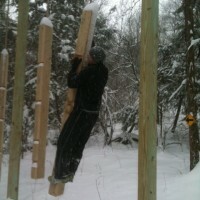 Also, owner Rob keeps adding to the course, with at least two totally new obstacles for this event. 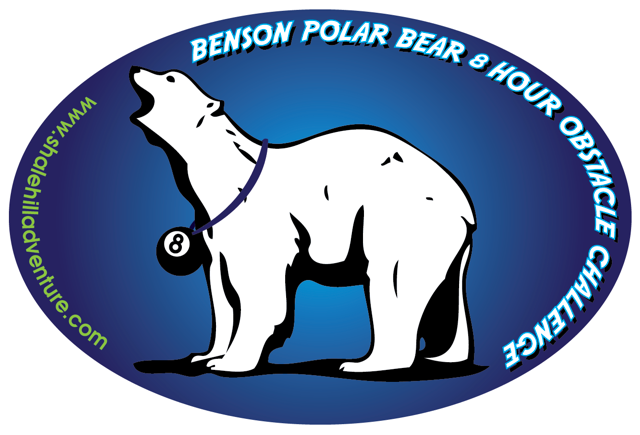 So what makes Polar Bear Challenge a different ball game? 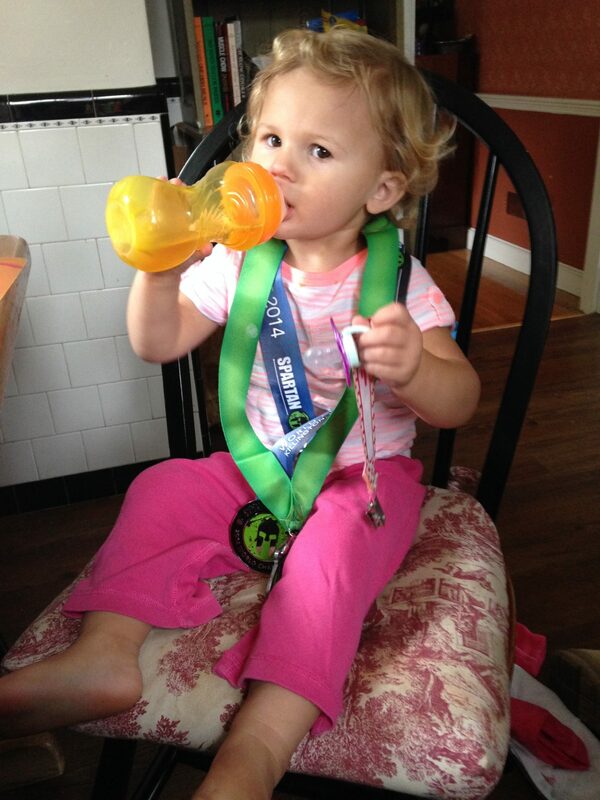 Rather than run a lap, cross the finish line, drink a beer, you run for 8 hours. That may simply be a lap, but those so inclined can push for more. Two laps, three laps – or this year it was won by the ever awesome Vincent Larochelle with 4 laps. Don’t have a competitive bone in your body? Then pick the ever popular Journeyman category, which lets you push yourself, try what you would like, and enjoy your experience with no penalties. There’s something for everyone. Including an all day buffet for racers, with rather excellent breakfast and lunch fair to keep you moving. For me – I’ve ran enough laps of Shale Hill to not have anything to prove to myself and was out there for some fun, and mostly, friends. 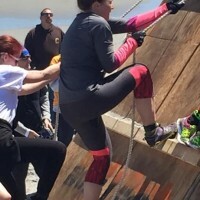 I started the lap on my own, knowing that hanging around at obstacles waiting with a large group would leave me frozen – so I set my own pace and being Journeyman, I picked my obstacles carefully. This tactic was great, until I rolled my shoulder on a simple wall (it’s fine today, but was sore for the rest of the race). 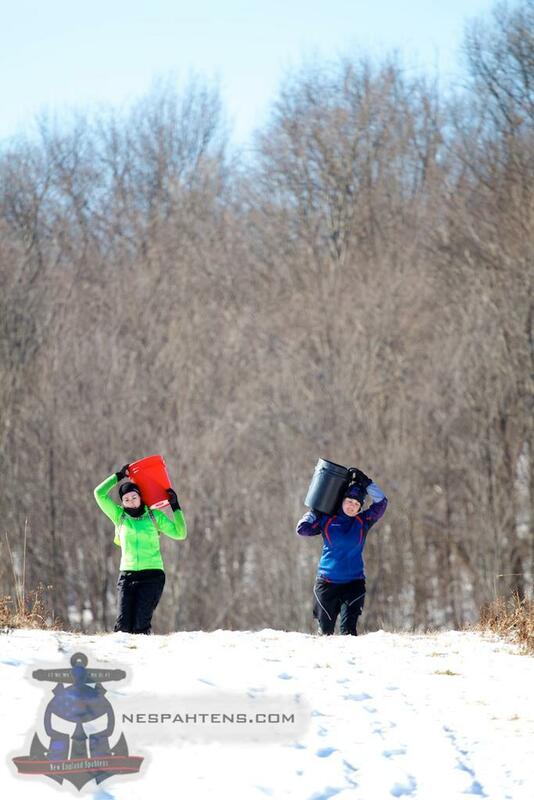 The pond was frozen solid, so the traverse obstacle was open – and the ground was nice and frozen, so obstacles like tire drags were nice and simple. The Destroyer destroyed me – well, the Destroyer plus cold – and the warm boots I was wearing weren’t biting on rope obstacles – like I said, I picked my obstacles this time around, and many of the more complex ones I’ve done in summer, warmer events were attempted but ultimately bypassed, the benefit of being Journeyman. 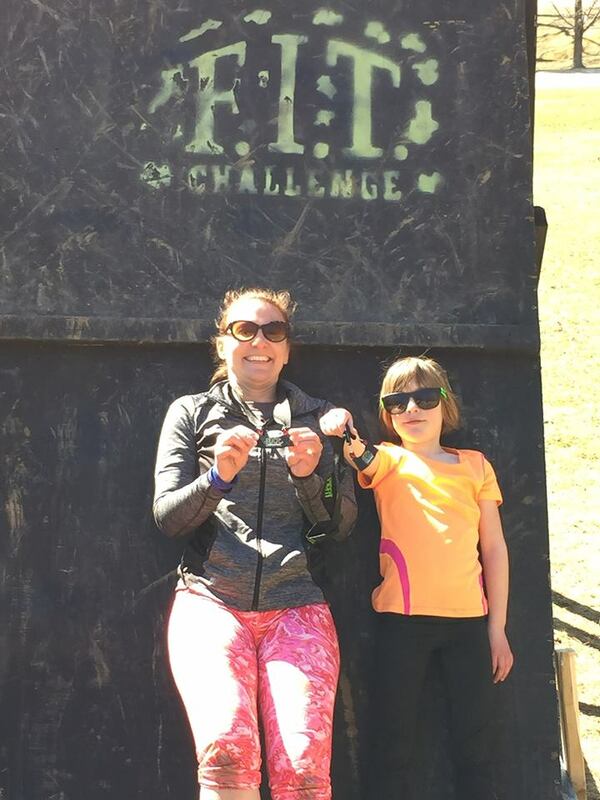 When I hit the Great Traverse wall, I caught up with Nicole Sibley who was running in the more competitive Open category – and continued to pace each other through the rest of the race – obstacles she had to complete or attempt before picking up a chip were obstacles I would sherpa her pack through – and in between we matched pace and chatted about life, the universe and everything – as you tend to do when battle buddy’ing through an OCR. The company was appreciated! Rob’s two new obstacles – one being a large A frame with wooden “steps” that you had to hoist yourself up using your hands only (on the inside of the obstacle), before transitioning to the other “leg” and going back down was a significant challenge, and bumped the difficulty of this obstacle to a new level beyond similar setups at OCRWC or Samurai Sprint – consistent with Shale Hill’s motto – train harder than you race – if you can do this one, you are golden when you encounter the others. I simply didn’t have the grip or upper body strength for it, but appreciated the significant padding underneath, which included several twin mattresses! His second fresh obstacle, replacing the bucket carry with a new wheelbarrow – a large go-cart type type, on a metal frame, with a 45lb plate and concrete block – weighing close to 100lbs this was proving to be a real challenge for many people, but played to my strengths well and I didn’t find it too challenging, although my grip was shot at the end. I called it a day at one lap – preferring to hang out with friends, make new friends and have some food than go back out for a second lap. A big shout out to the volunteers! This is one race that standing around in a field or woods all day is particularly brutal – the cold sucking all the body heat from you quickly, and not being able to do much to warm back up. 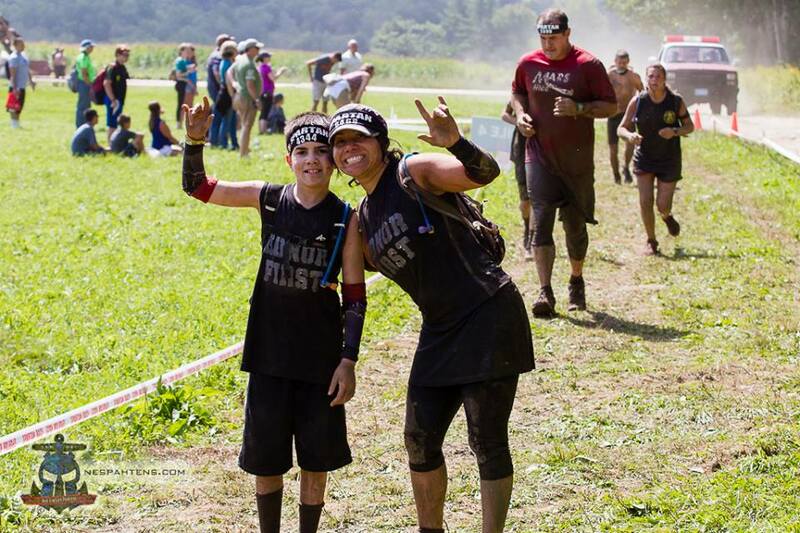 They faced their own endurance event, and like any race – you just can’t do it without them. It was also especially nice seeing many Spahtens out there – getting a welcome smile as you came into their “zone”. Thank you! This particular Polar Bear seemed to get more than normal numbers of traveling athletes – OCR Nation were down from Canada, and OCR Tube was up from Miami. Amie Booth was in from South Carolina and I got to meet several people who listen to The NE Spahtens Show, including many from the Quebec region – if you are from that region, hi! If you’re French speaking, check out their podcast over at 3-Seconds. Once again, a long weekend with Shale Hill – the race is, in many ways, simply an excuse to go to a happy place – an amazingly good looking venue, with a world leading obstacle course, where you’re always welcomed like family, surrounded by friends – both on the course, in the party barn, and wherever you go to eat or sleep. It’s like a mini vacation from the real world – one that sends you home sore and achy, with bruises in places you didn’t know could bruise. And what more could you ask for in life? We also talk about the end of an era, with Tough Guy having it’s 30th year – and final – event this weekend in the UK. Check out the OCRTube.com video, it’s pretty amazing to watch. 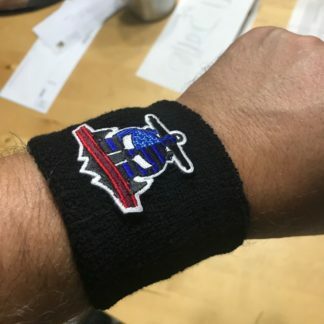 We have a larger than usual batch of listener questions to run through – thanks to Vincent4Vega4, Marie O’Keefe, Michael Braniff, Ben Millina, Flux and Amy LaPanne for those! 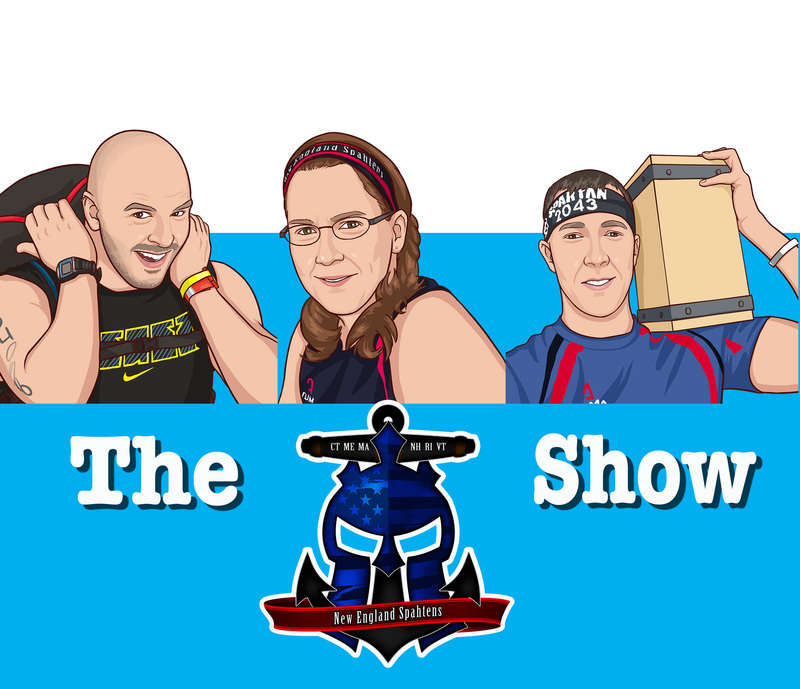 And we round out the show with Josh covering the latest in Spartan Race’s T Shirt obsession. You can read more about that here, too. 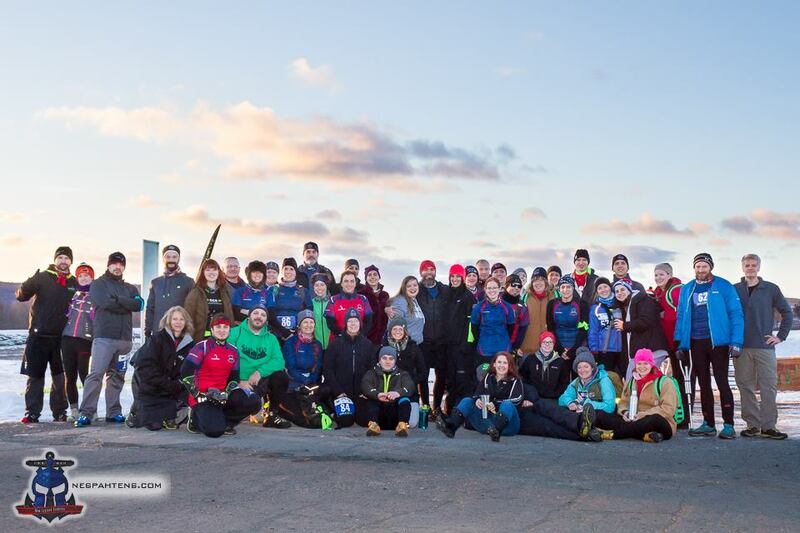 See you all at Polar Bear Challenge next weekend! 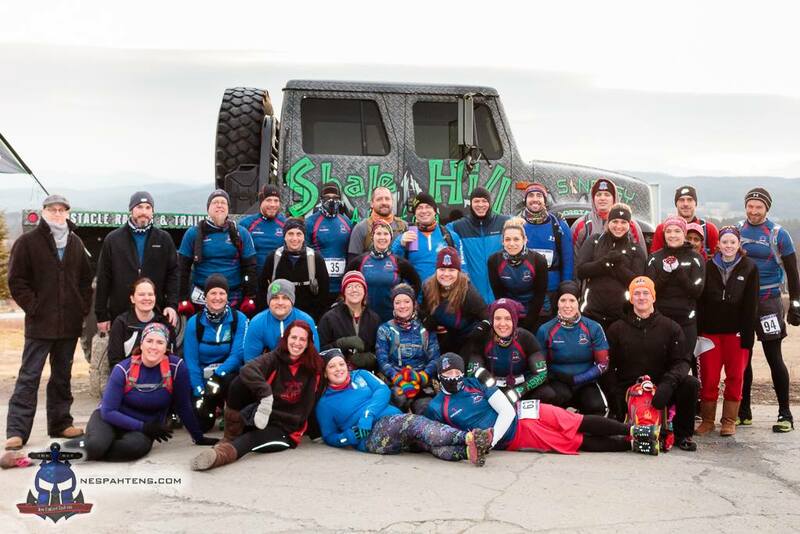 It’s been almost exactly a year since we last spoke to Shale Hill – fresh off winning the best fixed OCR venue award from Mud Run Guide (again! 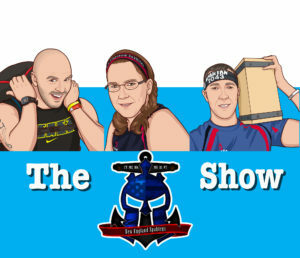 ), Jill joins me on the show to talk about what they have coming up for their 2017 season. First up, we talk about Polar Bear Challenge. 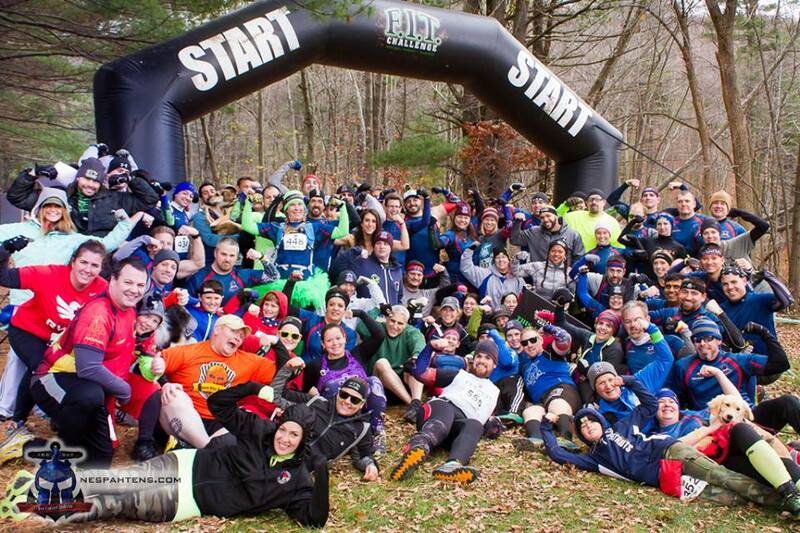 Their signature event – this 8 hours, as many laps as you can race is one of my personal favorite events on the New England OCR calendar every year – and they’re already putting in more obstacles and preparing the all day buffet! Want to run with us? 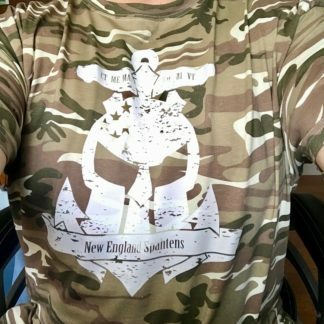 Join team NE Spahtens and use code “NES15” to get 15% off! Find more info right here. Big thanks to Jill for joining us! 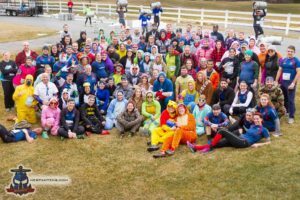 As if it wasn’t crazy enough that we were running an eight hour endurance event, in Vermont, in the snow – but that event was full of Rob Butlers famous crazy obstacles, and with the amount of snow we’d seen in recent weeks, everything was buried in knee deep powder. 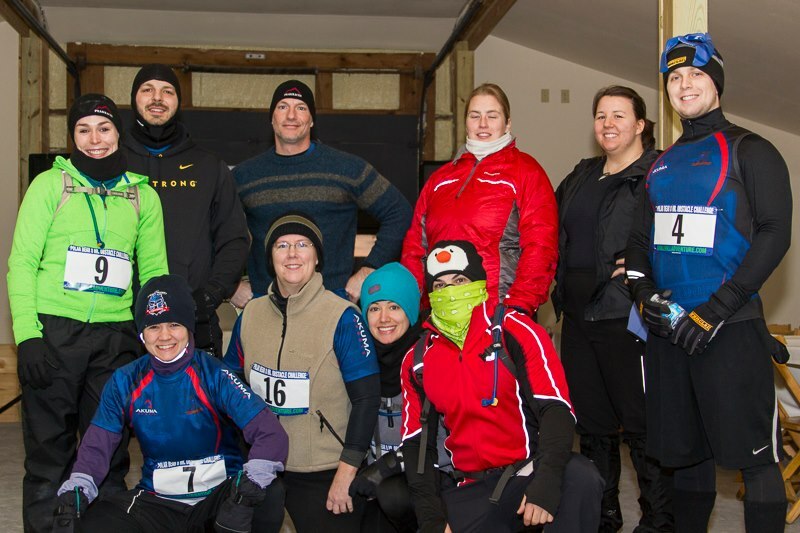 This past weekend saw the third running of the Polar Bear Challenge – one of the signature races held by the Butlers at Shale Hill. 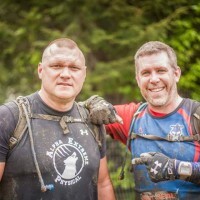 This annual event takes place on the full 10k loop of the permanent obstacle course built up by Rob Butler – but, at eight hours, the goal is to run as many laps as physically possible in that time. Most laps, in the shortest time wins. This was my third Polar Bear Challenge. Robs habit of adding to, and growing his venue continues, and we enjoyed both new obstacles, new facilities, new penalties, new divisions – and many many more new faces – and that is what makes Shale Hill so perfect for the OCR enthusiast – no matter how many times you visit, the venue grows, evolves and adapts. New people find Shale Hill, fall in love and come back for more. I know I do. But – nothing could prepare us for the snow. It was the great equalizer, the game changer – and took this already challenging event to another level. 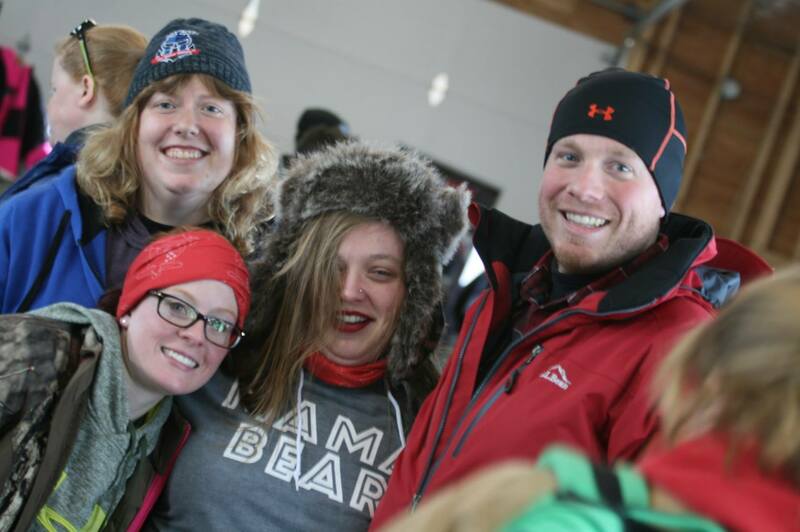 The 2015 Polar Bear Challenge had around 130 participants – seemingly small numbers translate into an intimate experience – with no crowding, no lining up, no waiting – and like Cheers, everyone knows your name. We chose to stay overnight on the Friday, sharing the on-premise apartment for very very short money. There were plenty of local lodging options, from guest homes to share, to hotels a short drive away. For little more than $30 a night, I had a warm bed, no commute and great company. 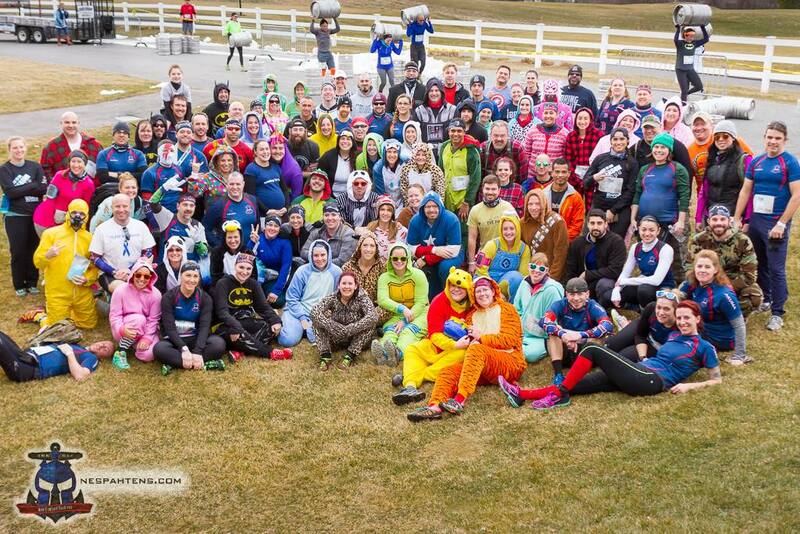 For 2015, Rob had made a few facility upgrades – turning a large horse barn into a party barn – this accommodated the racers, their spectators and the staff and volunteers perfectly, staying warm and providing big glass windows to view the fields and the penalties. He also showed off his new Shale Hill vehicles … a lovely looking wrapped mini, and The Truck. This thing. Of course, he’d also added more obstacles. Because thats just what happens when Rob has too much time on his hands. 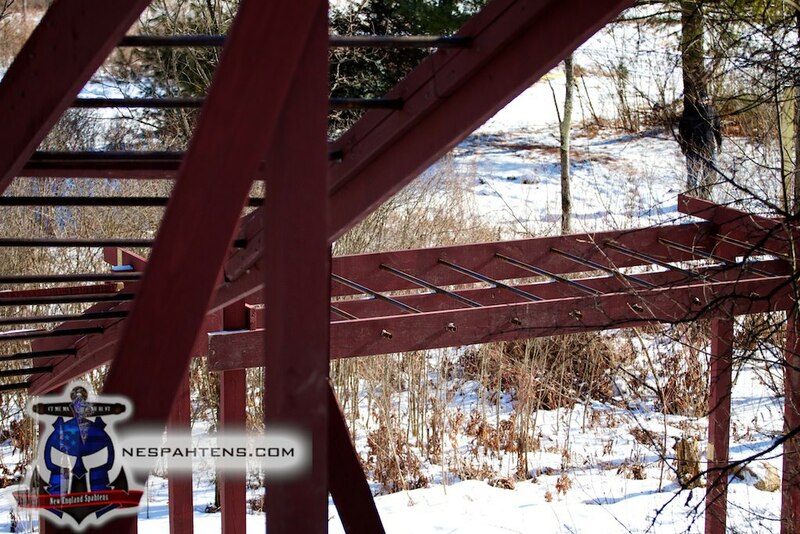 One of which was the New England Spahtens crowdfunded obstacle – the Zig Zag of Awesomeness. This uphill single pipe traverse – then drop to another pipe, then a rope decent – this is one of those challenging obstacles Shale Hill is renowned for – something that you may not get your first few attempts, but it’s a goal. It’s a reason to come back. But, one of the biggest changes on previous years was the introduction of the Journeyman Division – initially proposed by our very own Sandy. Journeyman is the non-competitive wave. This means you can take the course at your own speed, your own pace. You can chose to do all the obstacles, or you can choose to step past them, and continue on. You have no penalties at the end, and, of course, you win nothing but your pride at completing the course and achieving what you set out to do. For everyone who thinks Shale Hill is too hard, or is intimidated by the obstacles – this is for you. All the fun, none of the stress. Bundled up in our winter gear of choice – I found a combination that worked well. 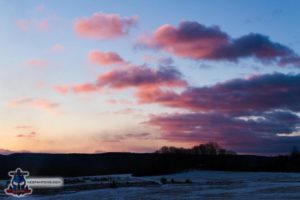 Temperatures ranged in the 20’s all day, and my Icebug Speed boots, with thick LL Bean hiking socks – and Icebug gators kept my feet warm, dry and the snow out. Under Armor cold gear tights and tech running pants kept my legs dry and warm, and a matching UA cold gear top and a drill shirt kept my torso good. An Icebug hat, a buff around my neck, and some grippy liner gloves and outer snow mittens, and I was just fine all day. Other than some moments when I got snow on my arms – and a single layer of cold gear wasn’t quite enough – I had very few cold problems if I stayed mobile. In fact, during one pit stop at the Loom, I was steaming significantly! I took a pack – but no bladder, there were plenty of water stops and fires to keep them thawed. 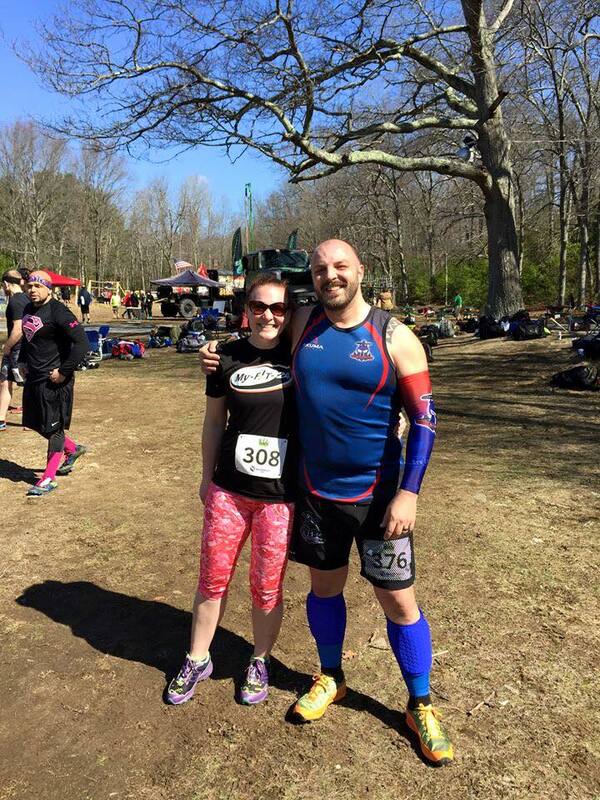 No run through of obstacles – I ran journeyman, and had the pleasure of running / slogging alongside Margaret of Dirt in your Skirt / MudRunGuide for the race – along with Steve, our philosophy was to help others, keep moving, have fun. Sometimes, this meant skipping something we knew we’d find impossible (coughcoughtarzanropes), giving some the old college try, and nailing others down. At the end of each lap, if you ran the open waves you handed in some poker chips for penalties. In previous years, this was an area that had a lot of people grumbling – the penalties were some pretty significant physical challenges – some people didn’t come back because of this. They missed out – Rob traded in the backbreaking physical work for time consuming – but fun – tasks. 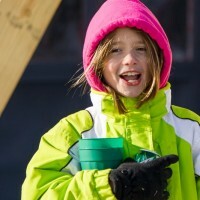 With the number being pulled randomly, you could find yourself eating saltine crackers dry, or sledding down a hill repeatedly, or flipping a wooden beam – and more. None of these were particularly *hard*, but they took time, and you had to complete them before you crossed the timing mat for your finish, or your extra laps. Journeymen could skip right on by. All told, The race was won with just 3 laps this year, the least yet and entirely down to the deep snow. People who managed a second lap were few and far between, although the later laps got faster as the course was packed down some more. There were a few penalty free laps done, but certainly not many. Lots and lots of smiling faces. 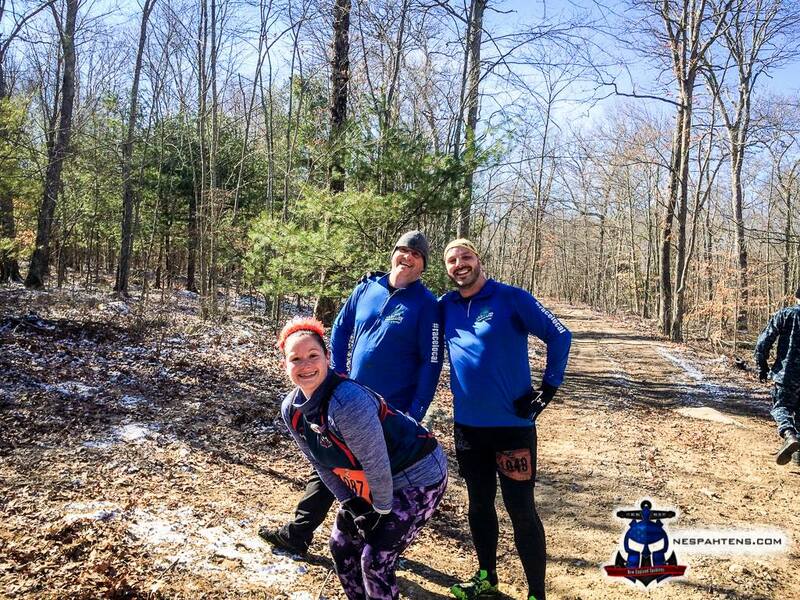 So – an 8 hour window to run laps of the best, most fun fixed venue course available – just a few hours from anywhere in New England, with non-stop food all day and an amazing intimate environment full of friends and new friends. The weather shouldn’t be a deterrent, you just put more clothing on, and the company can never be beat. 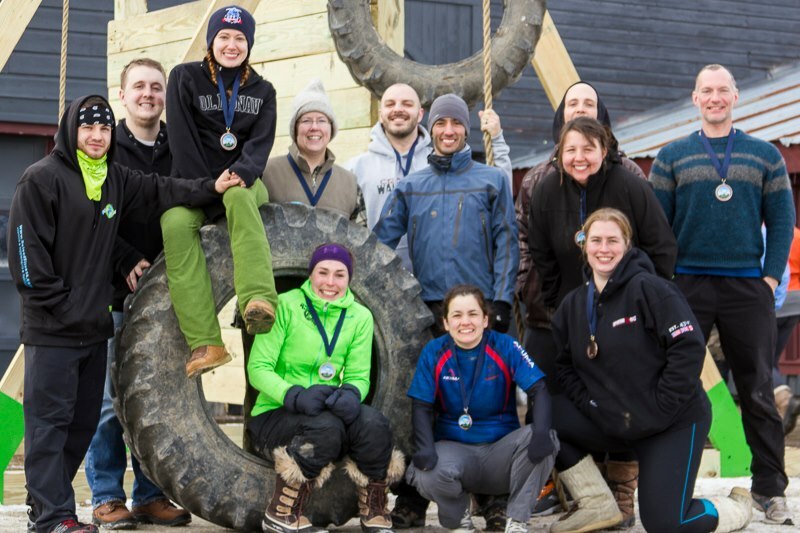 It was also fantastic to see industry collaboration – Icebug, a title sponsor had an awesome presence there, and fellow #ocrunited (and #racelocal) events, FIT Challenge, BoldrDash, GritNWit were present too. This was my third turn of the Polar Bear Challenge. It remains one of the top – must do events on the calendar. If you let the distance, or the snow put you off, then you missed out. 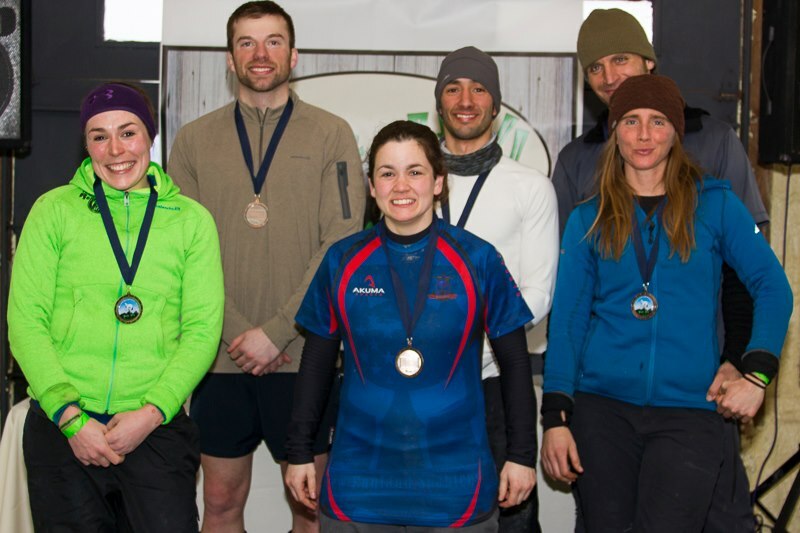 It was extremely rewarding to see new faces and first timers come across the finish line with big smiles on their faces, and talk of returning for the relay, or the 24h event. 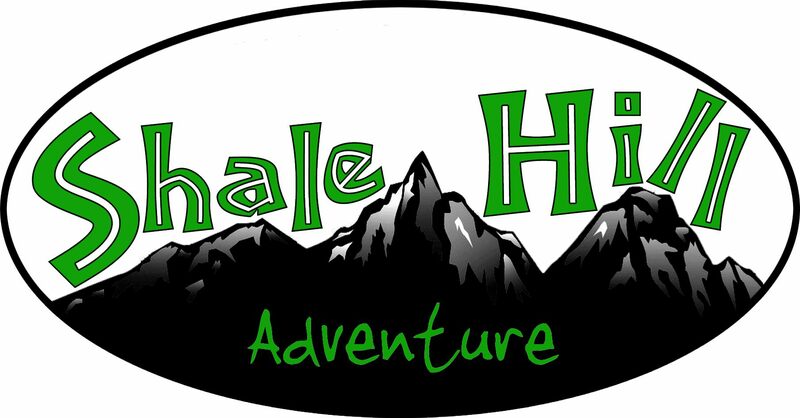 Shale Hill has already opened registration for the 2016 Polar Bear, at the best price they’ll have available – in a sport where I never recommend registering for events so early on – I’ve already registered for this one. I recommend you do too. By now, you shouldn’t be a stranger to Shale Hill – described as the “Obstacle racings Field of Dreams” by Margaret Schlachter of Dirt in your Skirt in her about.com article – and raved about by everyone who visits and trains there, they truly are a must visit for the OCR enthusiast who wants to push themselves and see what they’re about. 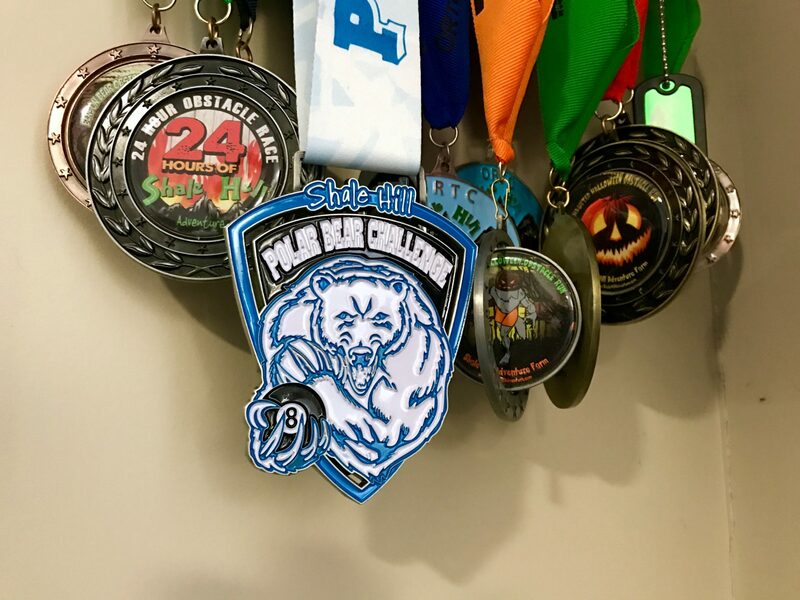 This coming weekend, we’ll see the third rendition of the Polar Bear Challenge – an 8 hour long endurance event – as many laps of the course as you can make in that time window. 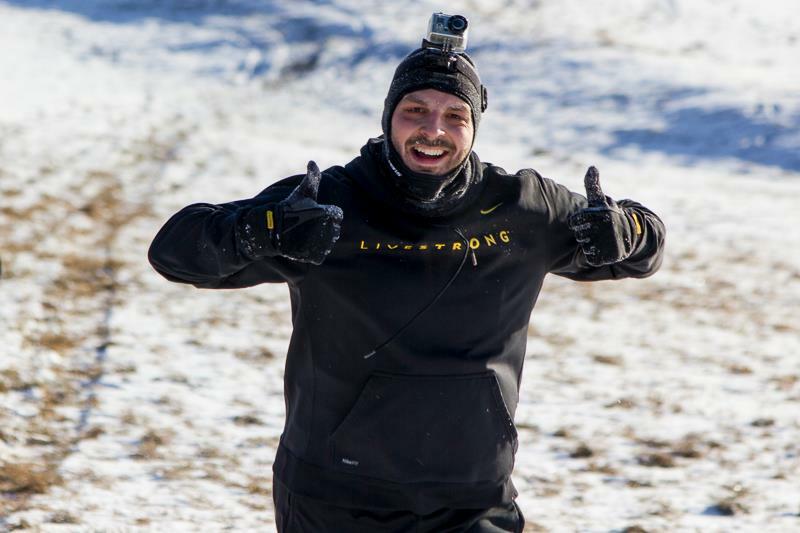 It sounds horrific – especially when you consider that the temperatures will be low – but with Journeyman divisions that allow you to take it at your own pace, complete what you can, and skip the penalties at the end – it’s accessible to pretty much every level of OCR athlete. 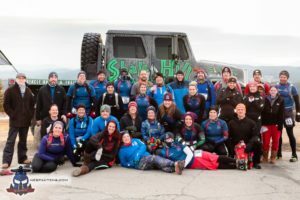 We reached out to Rob and Jill, the venue owners, and asked them a few questions – both about the Polar Bear Challenge, and Shale Hill itself – check them out. – It’s no secret that Rob can’t stop building … how many obstacles per lap should we expect this weekend? * If you count every hurdle and effort within some of our obstacles, then you’re looking at 80+ efforts per lap! – Some are straight forward – flip a tire, climb a rope – others a less so … what obstacle do you consider the most challenging? 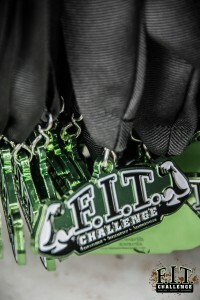 * Top 3: Tarzan Swings, The Great Traverse Wall, Uphill Monkey Bars (but the whole damn course is challenging!) – However, I believe the new horizontal pipes, warped wall and log splitter carry are going to be game changers on the course this season. – How many laps will win Polar Bear 2015? * Jill – 4+….we’ll see. The conditions play a big part. We have a lot more snow and ice this year than the last two years. This will slow one down considerably to be more careful. – Who’s your favorite to win it? * Now now, we don’t say this out loud, do we!!?? 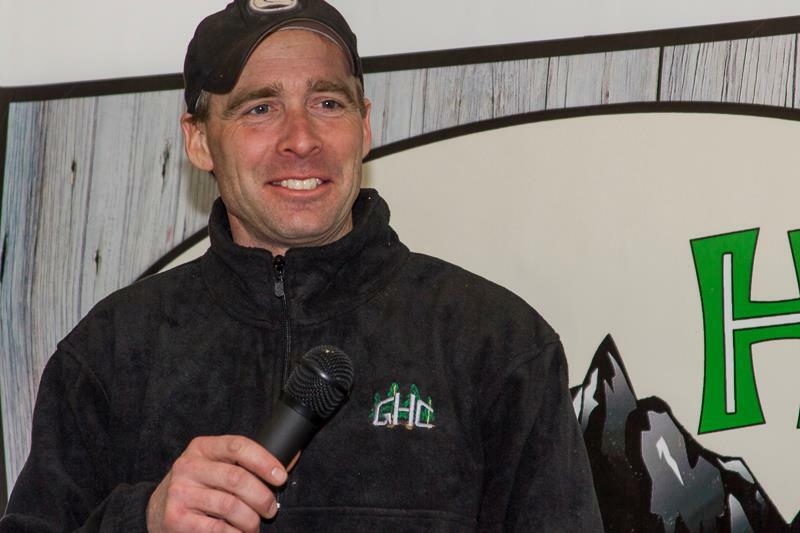 We wouldn’t want to jinx our leaders from last year 🙂 We’ve got last year’s winner, Dave Olsen, returning and a great field of uber elite athletes attending…but, there is an unknown field of Canadians coming to make their debut here at SH and I think they’re here to deliver some serious competition! 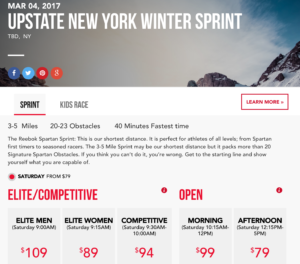 – With more unique endurance events on your calendar, is this the niche you are looking at in 2015? 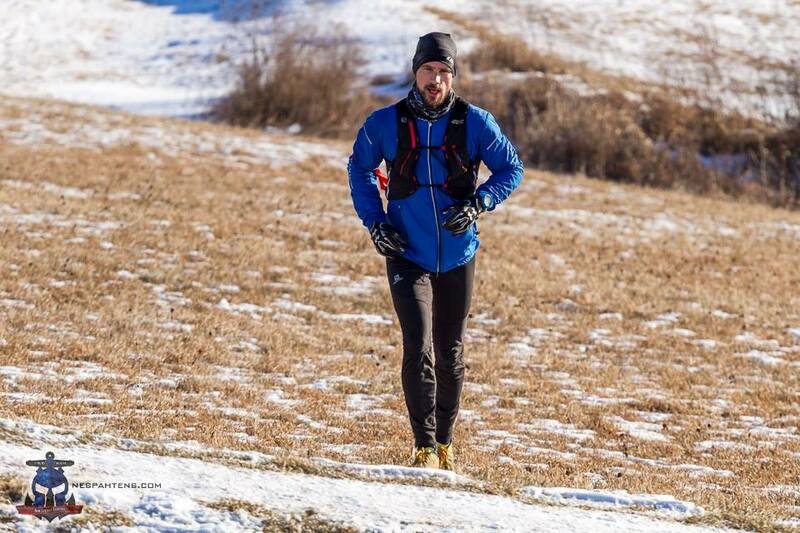 – Rob recently ran the course, daily for 30 days – tell us about that experience? * Jill – I’ll let Rob answer this one 🙂 But, I could give you good account of what it’s like to mow SH for 120 days straight 😉 Does that count? 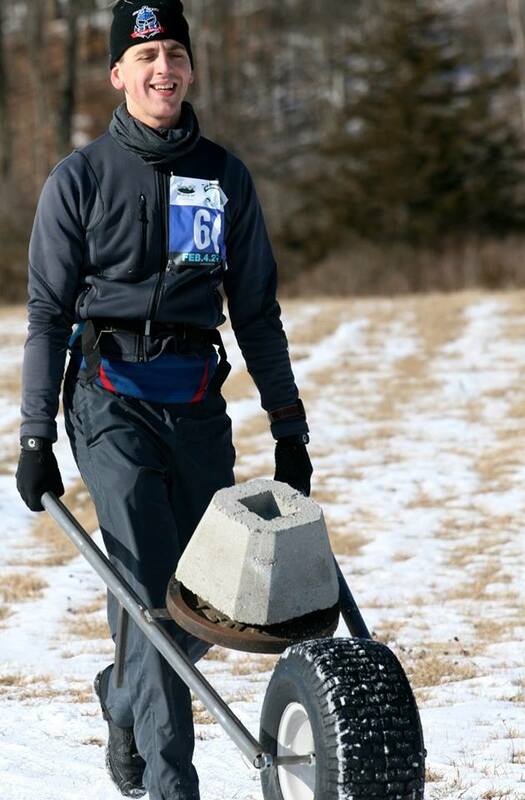 Rob – Running Shale Hill for 30 days in a row is an experience like no other. I did this to prove a point. I have always said that your body will do what you tell it to do. If you make something routine, your body will adapt and deal with it. I experience in then first week that I hurt, my hands and legs and arms were sore. 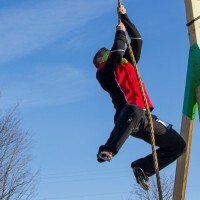 I failed the tarzan ropes on day 6 because I just simply could not hold on any more. Driving that day, I could not hold onto my steering wheel. Then I witnessed something incredible, I woke up on day 7 and my hands were fine…..never failed another obstacle for the next 23 days. On day 20 I ran a 1 hour and 17 minute lap with little effort and was not pushing for a fast time. 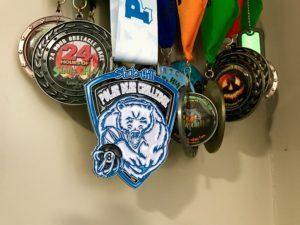 I ran the next 10 days all at a sub 1:18 time and was not pushing to do it. My body and mind just simply knew what I was going to ask of it and it just did it. I was no longer sore, my hands were like leather and I was strong, all over strong. I had lost all the unnecessary weight that we tend to carry around. i was streamlined and efficient and smiling while I did it. I will do the 45 days of Shale Hill this summer and I think that my body will once again adapt and just simply do it. Out of all the training activities that are out there today, I am convinced that grass roots obstacle training of your mind and body makes you the strongest. – Where is the hot tub kept? We want a “soak in a hot tub” obstacle! See you at Shale Hill! 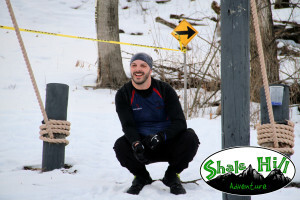 A few days ago, New England Spahten Tom Kelly paid a visit to Shale Hill Adventure – the location of the Polar Bear Challenge later this month. I wanted to share it, with some photos, and *now* I’m getting nervous! 1.what does shale hill have in common with Zombieland? 2. What is worse then Burpees? Answer: a foot of snow! 3. What is harder then a Spartan? Before I can give a report on Shale Hill Adventure I need to give you a little info about me to put this in perspective I’m 45y/o and 30 lbs overweight. 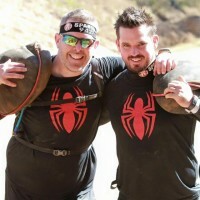 I have done 4 OCR events, a local mudrun, a zombie run, a hero rush and a Spartan super. This is my first blog, and my first winter run. I found out about Ortc Vermont or Shale Hill Adventure through the NE Spahtens Facebook page. Its approximately 1 hour from my home in Saratoga NY, and probably 3-4 hours from Boston and NYC. I had a plan of going with 5 coworkers who have signed up for a Spartan race but have never done an OCR. This was to be a baseline measurement of fitness and desire, until no one else showed up leaving me solo. The ride from Saratoga to Benson Vt is straight forward route 4 to route 22. One hour on the road and I found myself in the parking lot, alone. Rob Butler, the owner and creative mind behind this showed up right after I got out of the car. Because I was the only one I got a personal tour and training session with Rob. Rob turned out to very nice, outgoing and in shape. This was important as I quickly found out. While I was short of breath, he was able to carry on the conversation for the two of us. This made the course go by quickly. A short run through the snow followed by a sandbag climb left me wiped out. Did I mention the 30 lb fat and the foot of snow. Rob kept his eye on me while I wheezed like under tuned bag pipes, but I drove on. The obstacles came next. 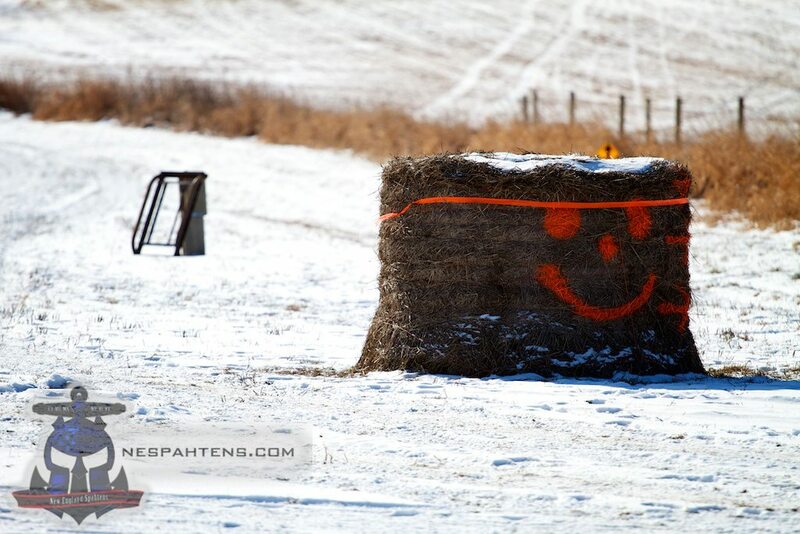 It started with the basics, small walls, hay bales, barbed wire. By this time my energy was fading. I was able to walk the course but not try the big stuff. Rob was explaining the different types of obstacles and layouts for the different seasons. This is not a course you will get bored with. It is going to change by moving or modifying the obstacles for continuous challenge. He is also going to make Shale Hill a family friendly activity center where you can bring everyone. There will be horseback riding, mountain biking, a full gym so you can do the course while everyone else is being active. And, about these obstacles. There is a new measuring stick for tough and it’s made in Benson, Vermont. I don’t want to scare anyone off as I’m still 30lb overweight and drained from the snow. 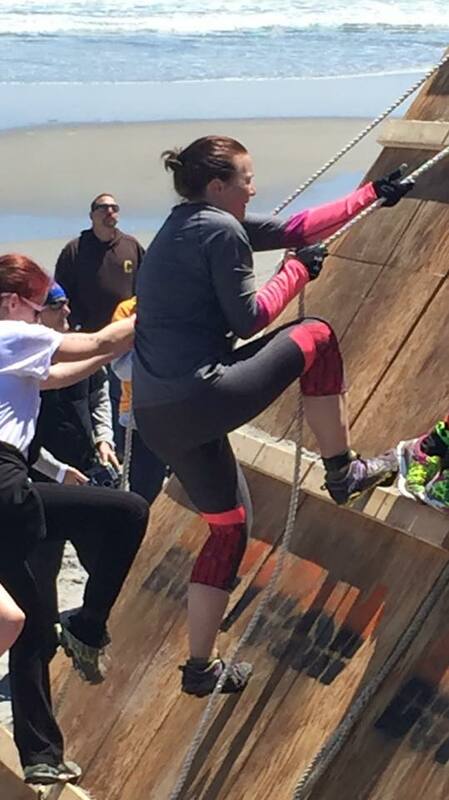 At the Spartan super, with no experience, I was able to do a lot of the obstacles. Here, you need to be in good shape and dressed appropriately(more on this later). 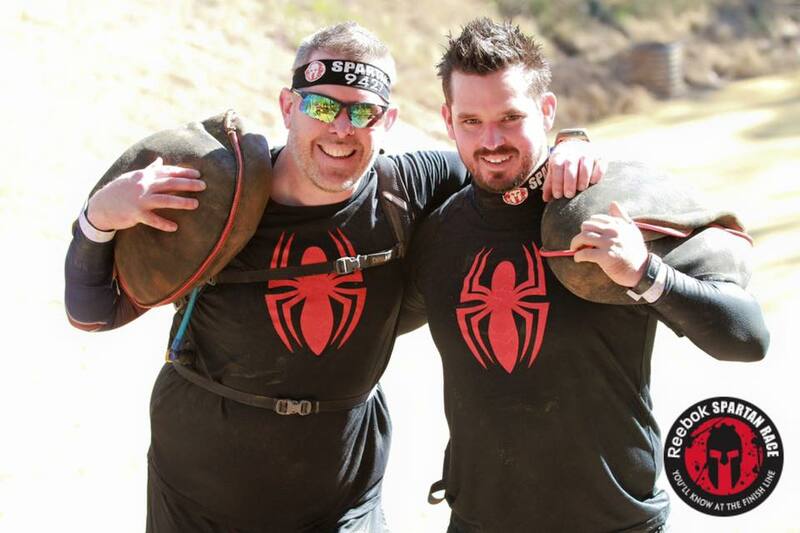 The bad boys in the jungle (a section of the course) will challenge the experienced racer. While completely doable, they can intimidate the out of shape middle aged man. I am using these as motivation and plan on beating them in warmer weather. Four stick out in my mind, the climbing wall, the monkey bars, the Tarzan swing and the anaconda. These will be my nemesis. They are superior to anything I have seen in the military or on the internet. Rob was actually building more as I was driving home. As I was pushed for time and out of energy, we proceeded through the rest of the course while he told me about various events he is doing. The Polar bear challenge will be tough, real tough with snow added. Unfortunately, I have to work that weekend and will not be able to attend. Then he has a four race points challenge with prizes. It should be a busy year for him and his family. Rob is a man with a vision, and has the energy to achieve his goals. If you are willing to travel hundreds of miles for a name brand race then you really need to go here first. 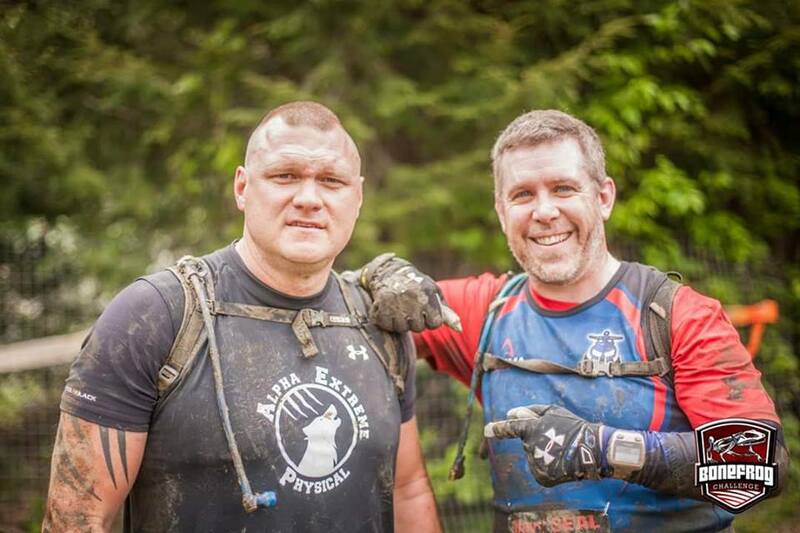 Here you can train at low cost on harder events with great people, and the only thing you will miss is a big guy at the end with a padded stick. 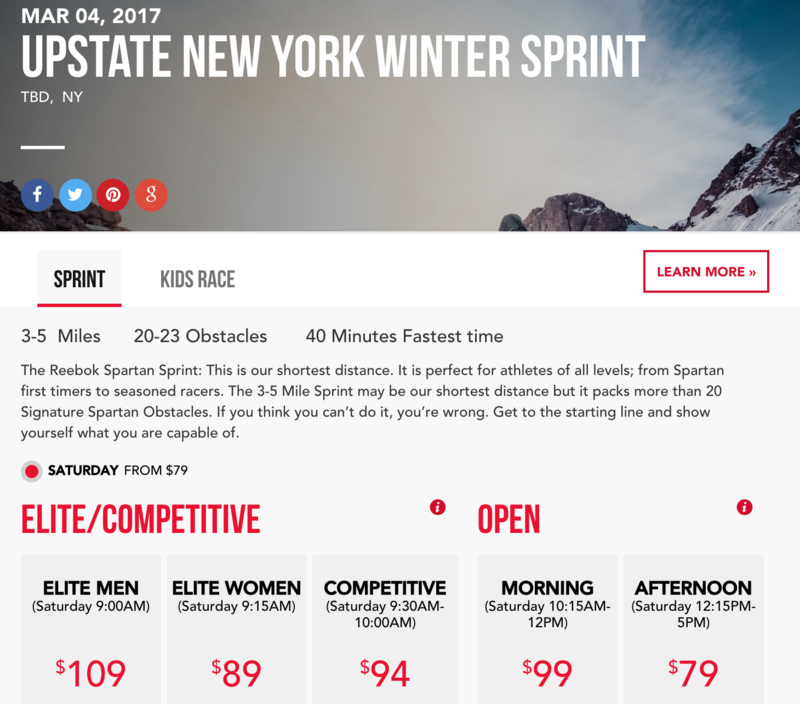 200 miles from Boston, maybe 260 from NYC, no problems, no parking fees, no spectator fees, this is a no brainer. I’m looking forward to a) being in better shape to tackle this, b) Having the family there having fun, c) coming back several times to see my improvement and d) watching Rob and his family grow the Shale Hill Adventure. PS Clothes for this. I ran in Army combat boots and combat pants with polypro long underwear, a cotton shirt under a wicking shirt and heavy fleece coat. Hat was not needed as I quickly overheated(if it is windy bring one. Fleece was to heavy, boots had no traction in snow but kept feet warm. My hands stayed warm but I did little in the obstacles. 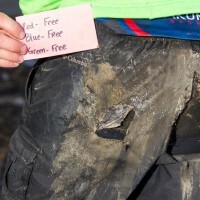 The pants with thermal underwear were to hot and limited range of motion. Please read the blog by Ellen Duffy, frost on the ground.